Although we might not want to admit it, summer is just about over. That means it’s time to remove those window AC units. Once you’ve successfully removed your air conditioner, give it a good clean. Doing this now will help make life much easier next spring. Clean the filter, dust the cover, and scrub down the back. Get the dimensions of your window AC , and head to your local home improvement store for a winterizing cover. Not only will winterizing your air conditioning unit help protect its exterior from dirt and debris, but it will also keep insects and vermin out. The attic and basement are good spots for storing your window AC. Avoid keeping your cooling equipment in the garage, where bugs and small animals could be looking for shelter. Homeowners with little-to-no extra space might want to consider renting out a storage unit. If you’d like to avoid this aggravating seasonal chore altogether, give us a call: (317) 434-2627. 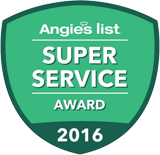 Service Plus Heating, Cooling & Plumbing specializes in A/C replacement systems in Fishers, IN and the surrounding areas. For more tips on everything from home comfort to plumbing, connect with us on Facebook, Twitter, Google+ and YouTube.